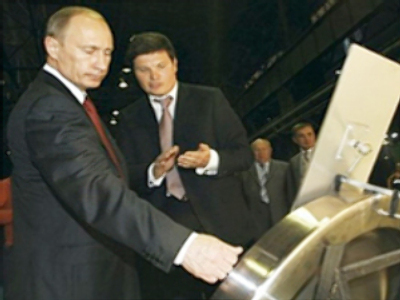 Prime Minister Vladimir Putin has again criticised Mechel, Russia's sixth-largest steel maker, for tax avoidance by exporting raw materials through offshore companies. Putin said high domestic prices, including those for essential goods, are the result of monopolism and transfer price formation. One of the companies sells its product several times cheaper on the foreign market several times cheaper than it does at home. They sell it abroad to their own offshore companies for a quarter of the domestic price and then they sell it at world prices of 323 dollars. We’ve discussed the need for creating a law about transfer pricing for a long time.